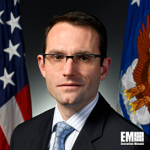 Will Roper, undersecretary of the U.S. Air Force for acquisition, technology and logistics, has said the military service must accelerate its process for awarding contracts to artificial intelligence technology developers, Defense News reported Tuesday. 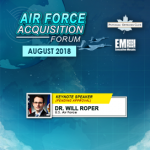 Roper, a 2018 Wash100 recipient, explained during the Farnborough Airshow that innovations in AI software requires constant reworking, which leads to the need to shorten the period of awarding AI contracts. 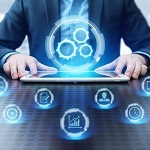 He added that the Air Force aims to work with small businesses capable of modifying AI algorithms in coordination with the users of the AI software. The service is also looking into collaborating with startups through the AFWERX program, which provides opportunities for industry, academia and non-traditional contractors to create offerings for the Air Force. Roper additionally said that the Air Force can initially adopt AI to sustain components to determine how the technology can be used in classified applications.